WHO IS MARY ELLEN SMITH? Crystal Beach used to be a small fishing village but is today one of the most sought-after vacation spots in the nation. People flock here for the beautiful beaches and waterfront properties. Visitors often fall in love and want to invest in their own slice of the area. Mary Ellen Smith and Cobb Real Estate should be any buyer’s first call if they are interested in real estate here. As a resident of the area, Mary Ellen understands the ins and outs of the community. She knows firsthand Crystal Beach’s hidden gems and why people fall in love with the area. With over 35 years in the area, half of which has been in real estate, she is the authority on properties in the area. This is as much about understanding the community as it is about finding the perfect home or vacation property. Mary Ellen is a guide to everything Crystal Beach and the Bolivar Peninsula have to offer. When clients walk into Mary Ellen’s office, they can expect a warm welcome. She wants to have a conversation with clients about what they are looking for. People can talk about their dream properties, important features, dream ideas, where they are coming from, and their budget, among other things. An opening conversation teaches Mary Ellen about her clients’ needs. From here, it is possible to narrow down the market possibilities. She will ask specific questions to better understand what people want from a home. This is about building a relationship. She makes sure that people know what they are getting into and is with them all that way through the closing of the sale. Give Mary Ellen Smith a call today to learn about Crystal Beach and Cobb Real Estate’s services. Just one consultation and buyers will know about different properties in the area. 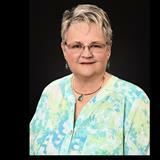 Mary Ellen specializes in buyer’s representation in Crystal Beach and on Bolivar Peninsula. She knows this is one of the most important purchases a client can make.Contact Mary Ellen today for a free consultation.